Warning if you don't like feet please leave now! 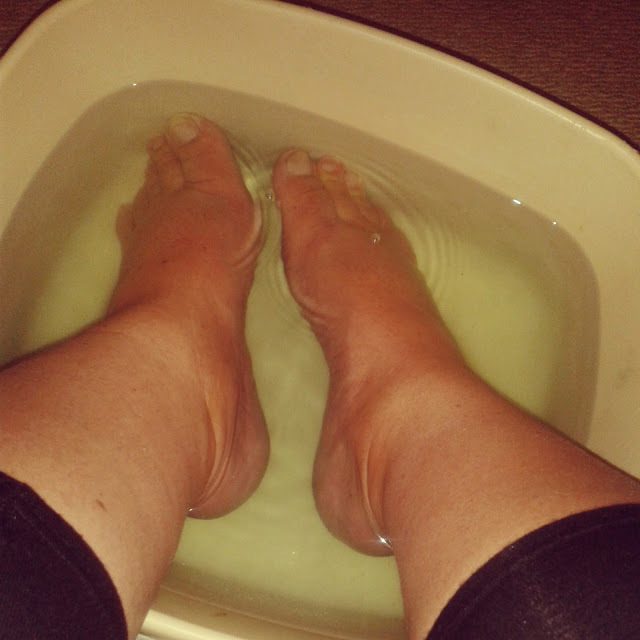 I've been trying to get my feet "summer" ready with the aid of our trusty washing up bowl. I decided it was time to buy a foot spa. This was just under £30 on amazon. I had a voucher to use so I only had to pay £5. 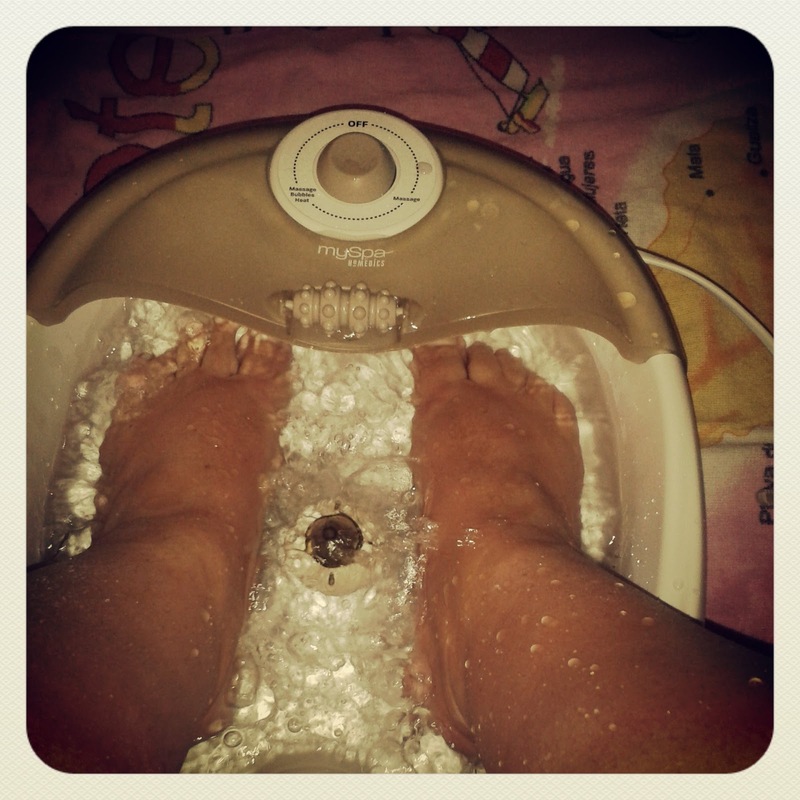 I love giving myself a home pedi. i always use a tip from a friend who is a beauty therapist - soak your feet in water with some dandruff shampoo added, to soften very hardened skin before you buff it.